This guide will explain how to configure a new iPad for use with Teamgo. This assumes your iPad is brand new and ready to begin the process. Unboxing and setting up a new iPad (or an old one) with Teamgo is quick and easy. This guide will give your visitors a much easier sign in experience and will ensure the system performs best with the Teamgo app. Not everyone has used an iPad before, so we want to configure the device to make it as easy as possible for the first time user. Making it easy, makes it memorable. Note: this article covers settings for all iPad models, the same settings apply to any iPad you use with Teamgo. Your iPad package will include the tablet, charger and charging cable. You will need all of these items. If you have an iPad stand, don't mount it just yet as you will need access to the home button during the initial setup phase. A new iPad will need to be setup first. Follow the on screen prompts to configure your iPad, if you are using the iPad for Teamgo only we suggest these setup options. Connect to an existing Apple ID or create a new Apple ID so you can install updates and applications on your iPad. (Tip: customers who do not already have an Apple ID for their organisation use teamgo@yourcompany.com for example. You can connect multiple iPads to the one Apple ID account). Before continuing, check to make sure that your iPad is running the latest version of the iOS operating system. To check this go to Settings app then General > Software Update. If a new version is available then proceed with the update. The iPad will usually restart after an iOS update, if not then restart it yourself. Remove and delete all other applications from their iPad that will not be used. This reduces the amount of memory used on the iPad and also stops any apps running or updating in the background. 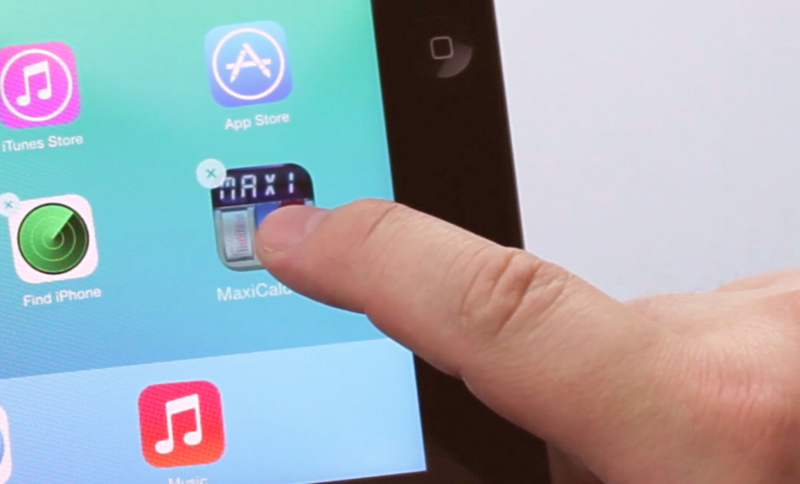 To remove an app directly from your iPad, press the icon on the device for the particular app you wish to delete until all of the icons on the screen start to wiggle. Once they are wiggling you will also see the symbol appear in the upper left-hand corner of each icon as shown in the image below. Our suggestion is to delete EVERYTHING that allows it except for Find iPhone or Find iPad app if you want that security measure. Now start working through each of the settings below. Open the Settings app. Display and Brightness > set brightness to maximum and disable auto-lock. You can setup night shift if you want your iPad to go to sleep overnight (recommended). With night shift this might cause some issues with apps including logging them out. Keep an eye on this and if it becomes a problem disable it. Once your iPad is setup open the App Store app and follow the on screen prompts. Search the app store for "Teamgo" and locate the iPad app. When the Teamgo App is installed open it and login following the prompts. The Teamgo iPad app requires location services to be enabled "Always" and access to the iPad camera. If the Teamgo app does not prompt you to allow these services please do the following.